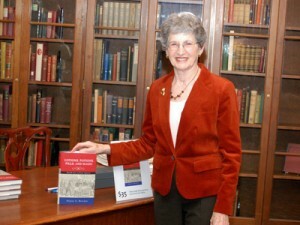 Here are some items that were mentioned during the 20 June 2013 Fieldstone Common interview with Elaine G. Breslaw about her book Lotions, Potions, Pills, and Magic: Health Care in Early America. Lotions, Potions, Pills, and Magic, published by New York University Press, is available for purchase from Amazon.com and other booksellers. You can learn more about Elaine Breslaw at her website. 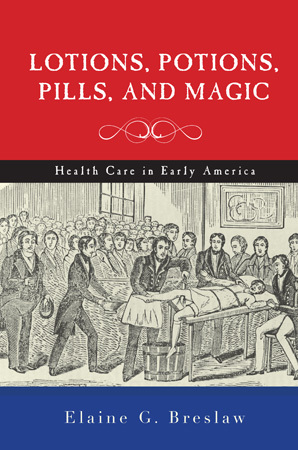 Lotions, Potions, Pills, and Magic takes a detailed look at the state of health care in early America starting with Native Americans just prior to the arrival of Europeans. During the discussion we explore the effectiveness of health care in America as well what kinds of treatments were used before the age of modern medicine. We also take a look at non-traditional practitioners such as midwives, Native American Shamans and African Obeahs. New York University Press, the publisher of Lotions, Potions, Pills, and Magic, donated two copies of the book which were provided as giveaways during the live show to listeners in Connecticut and Michigan. A big thank you to the New York University Press for their generosity! You can read the full story of the cookbook (as mentioned during the show) — and see pictures of Gommy in her Lopez garden and even a link to one of her recipes — on the Heirloom Registry’s blog. The most recent episode of Fieldstone Common featuring Elaine G. Breslaw discussing her book Lotions, Potions, Pills, and Magic is now available as a podcast. The first few minutes of the guest speaking are a bit quiet but the sound level does increase after a short time. Be sure to mark your calendar. 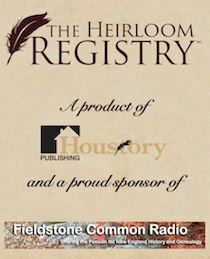 We’ll be giving away some great books during the live broadcasts of Fieldstone Common. 6 June 2013 at 1pm EDT The Great Escape of Edward Whalley and William Goffe: Smuggled through Connecticut with Christopher Pagliuco. Hear the true tale of two men hiding out in New England after killing the King of England. 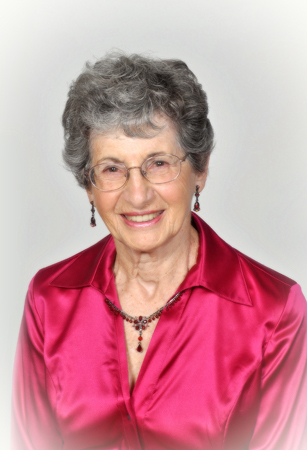 13 June 2013 at 1pm EDT How to Archive Family Keepsakes with Denise Levenick. Every family has “stuff” along with a designated family historian who must sort through it all. Denise teaches how to organize and preserve your family keepsakes. 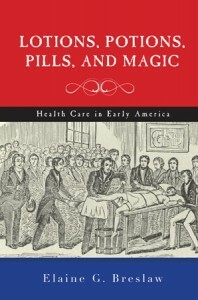 20 June 2013 at 1pm EDT Lotions, Potions, Pill, and Magic: Healthcare in Early America with Elaine G. Breslaw. This overview of health and healing in early America describes the evolution of public health crises and the tensions between trained doctors and the lay public. 27 June 2013 at 1pm EDT The North End: A Brief History of Boston’s Oldest Neighborhood with Alex R. Goldfeld. Before it became “Little Italy”, the North End was home to prominent figures such as Paul Revere as well as being Boston’s first African American neighborhood.